When it comes to real estate investing and forming an entity to protect your personal assets, there are a few options that are available to you. 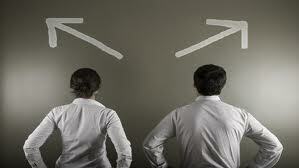 The two most common options are a Corporation and a Low Liability Company (LLC). The LLC is generally the best option for most real estate investors. There are several advantages to forming a LLC, for example, there is no limit on the number of owners you can have, and you don’t have to hold an annual meeting or keep a minute’s book and the profit and loss are passed through to the owners’ tax returns. The down side to forming a LLC is you cannot participate in corporate income splitting to lower the tax liability and you cannot issue stock. Forming a Corporation will give you advantages like the ability to issue stock to investors and corporate income splitting to help lower the tax liability. However, with Corporations you are limited on the number of owners you can have, you must hold annual meetings and record minutes and the taxation of corporate profits and shareholder dividends are doubled. When deciding which option is right for your real estate investment firm, research all options carefully and seek professional help until you are confident which option is right for you.